To help you organise and quickly access your favourite markets you can create your own watchlists. To delete a watchlist simply remove all the markets from that watchlist, i.e. 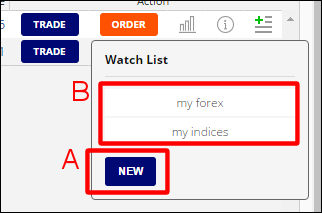 click the 'remove from watchlist' icon as per the above image. When there are no more markets in the list your watchlist will be automatically removed. Note that spread betting markets and CFD markets are different. Therefore, to avoid any confusion, watchlists create / edited / deleted while you are in your spread betting account will only update in your spread betting account. These changes are not be replicated in your CFD account and vice versa. With the FinancialSpreads+ account you can spread bet and trade CFDs using your mobile and tablet. 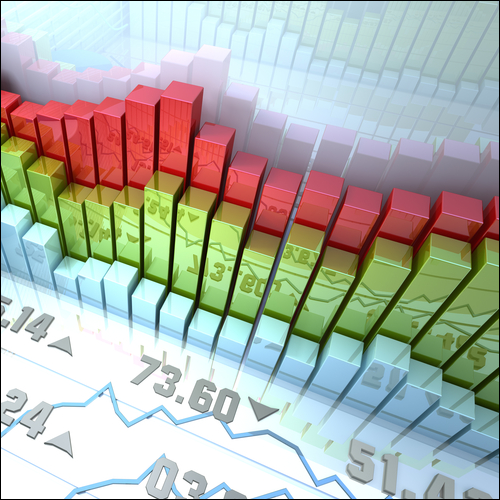 Plus, check the live prices, view the charts, adjust trading orders...» read more. Financial Spreads lets clients add Guaranteed Stop Loss orders to their trades in order to help them with their risk management. A Guaranteed Stop Loss will lower your risk by...» read more. Investors can apply Trailing Stop orders to spread bets and CFDs in order to automatically track a profitable trade. By using a Trailing Stop order an investor can lock in their profit...» read more. This spread betting guide covers rolling cash & spot markets, we look at overnight financing charges and dividend adjustments. Plus worked examples for daily...» read more. To help you organise and quickly access your favourite markets you can create your own watchlists...» read more.